The sequel to the ball-blasting classic! An irresistible force has taken our fearless frog to an island where the ribbeting puzzle-action of Zuma has evolved in amazing ways… but evil spirits and tenacious tiki bosses rule the land! Survive the ire of the island by firing stone spheres to destroy the deadly stream of balls. Conquer over 60 levels by staying sharp and avoiding hidden traps. Slide and hop for smarter shots; hit targets for exotic bonuses; detonate new power-up balls; battle six imposing tiki bosses and guide your agile amphibian to victory in four all new game modes! Will you succumb to the perilous pitfalls, or can you tame the jungle in this PopCap ball-blasting challenge? – Take a shot at 70 all-new Challenges in the Jungle of Mystery, Quiet Village, Lost City and Mosquito Coast. – Run the Iron Frog gauntlet — beat 10 levels in a row! 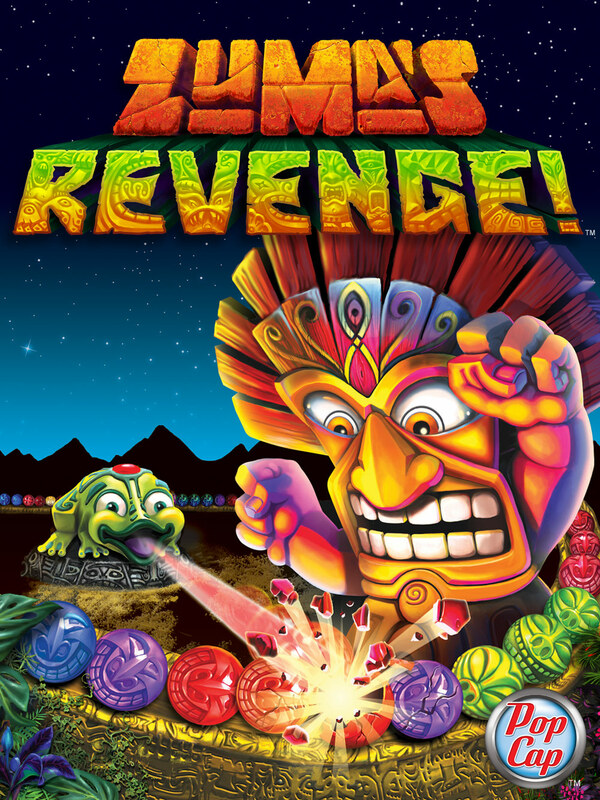 Get your Zuma Revenge free for a Limited Time Only!